Let the Wild Listings Start! "This perhaps is the first theme for the 2000s," proposes Michael J Anderson: "major filmmakers continuing their mastery, though perhaps not quite at the peak of their achievement." His global survey, culminating with his list of the "Ten Best Films of the 2000s," does offer hope, though. "Argentina, Germany, Romania and Southeast Asia," for example, "have all developed into new epicenters of the medium." What's a cinephile's favorite time of the year? Depends on the cinephile. For some, it's Cannes; for others, it's Halloween; for many, whether they'll admit it or not, it's list-making season. This year, that season starts early because we get to make two. While most are holding off on their lists of the best films of the year, the best-of-the-decade countdown has clearly begun. I've already mentioned the Skandies, Glenn Heath and the Filmist's project, Joe Bowman's Decade List and AO Scott's lists of "Movies of Influence" and "Movies of Quality." The Telegraph has taken the "Influence" idea and run with it for a list that goes to 100: "The films that defined the noughties." The paper's Tim Robey emphasizes that it's been "put together purely with an emphasis on importance/cultural impact, not critical preference." The London Times makes no such qualifications; theirs is a list of the "100 Best Films of the Decade," simple as that. Jim Emerson's presented these two hundreds to his readers at Scanners, where they've promptly responded by the dozens with lists of their own. Paste has posted its "50 Best Movies" and "25 Best Documentaries of the Decade" and Chris Stangl has launched his "decade in review" with a generously annotated list of the best of 2000. Of course, lists can be made all year round, which is why we've added a new list-making feature to The Auteurs. Quite the hit so far, too. Among the most popular: "Film as a Subversive Art," by Grey Daisies; "Chinese Cinema," by Myra; "Sculpting in Time," by apursansar; and "50 Favorite Japanese Films," by kenji. In a few weeks, when you begin to tire of seeing the same titles of 2009 or the 00s over and again, you might turn to these for a longer view of the art. Or, of course, you might roll your own. "The list is the origin of culture," argues Umberto Eco, whose exhibition Mille e tre, tracing the evolution of lists, is on view at the Louvre through February 8. "It's part of the history of art and literature. What does culture want? To make infinity comprehensible." Image: Mulholland Dr places pretty high on several of the lists mentioned here and one of the discoveries of the weekend, via The Wayward Cloud, is the astonishingly wide and deep site devoted to the film, Lost in Mulholland Dr. Updates, 11/17: Topping Dennis Grunes's list of the "Ten Best Films of the Past Decade" is Jean-Luc Godard's In Praise of Love. "Having confessed myself a little taken aback this week by the venom that greeted the Telegraph's defined-the-decade list I helped compile - some people take these things much too seriously - I thought I'd ride the controversy a little further and clarify a few things with my own list." 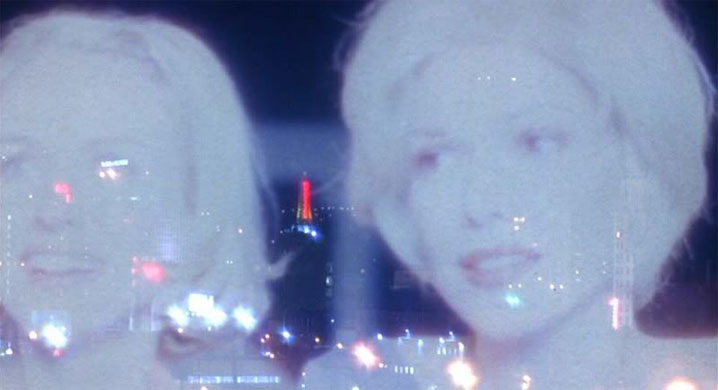 Tim Robey's #1: Mulholland Dr.
Also via Guy Lodge at In Contention, top tens from the likes of Julian Fellowes and Nick Hornby in the London Times. Update, 11/18: Nathaniel R is revisiting the 00s, too. Here are his top tens for 2000 and 2001. Update, 11/19: That Little Round-Headed Boy lists his "50 Favorite Films of the First Decade of the 21st Century." Update, 11/22: Flickhead takes TLRHB's cue and lists his 50, too. Alphabetically. Hey, I forgot to say thank you for this – so: Thank you for this! I don’t know if I agree with these lists’ practice of placing every other Pixar film on their lists of “defining moments in cinema for the naughties,” to the exclusion of some of the other more interesting animated films that came out in the last three years and made some sort of minor splash.